On the “Fourth of July” the United States celebrates the publication of the Declaration of Independence from Great Britain in 1776. It is important to remember that many of our Founding Fathers, our best thinkers and role models, like George Washington, Thomas Jefferson, Benjamin Franklin, Patrick Henry, and many others were musicians and began studying musical instruments as children. 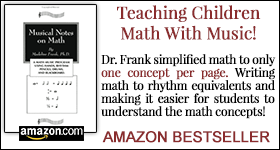 Studying a musical instrument taught them how to focus, concentrate, and be disciplined. These eminent individuals integrated music into their thinking process. Music is a powerful tool for motivating, inspiring, educating and soothing pain. Radio Show feature question for July 2015: What did Founding Fathers George Washington, Thomas Jefferson, Benjamin Franklin, and Patrick Henry think about music and what musical instruments did they enjoy playing? For President Thomas Jefferson’s Radio Show from June 2008: President Thomas Jefferson what did you think of music and how long did you practice on your violin? For Patrick Henry’s Radio Show from June 2009: What did Patrick Henry think about music and what musical instruments did he enjoy playing? George Washington learned to play the flute at a young age. He enjoyed playing duets on his flute with his step-granddaughter at the piano and his wife, Martha listening to their musical concert. How did Classical music play a part of President George Washington’s life and what musical instrument did he play? Benjamin Franklin played the violin, guitar, harp, cello, Viola de Gamba, harpsichord, bells, and glass armonica. In his home he dedicated a room to house his instruments and play concerts in. He enjoyed playing duets with Sally, his daughter. She played on harpsichord and he played on his glass armonica. For Founding Father, Benjamin Franklin’s Radio Show from September 2008: What did Benjamin Franklin think about music and what musical instrument did he enjoy playing? From little ones to legends, how can music play a role in your child’s success? Legendary jazz musician, Louis Armstrong was a latch key kid who came home after school to an empty house. His mom was out working and he was hanging out with the wrong crowd. At the age of 9, Louis was arrested for the first time with five other boys “for being dangerous and suspicious characters” according to the Daily Picayune newspaper. He and the other boys were taken to the Colored Waifs Home on Oct 21, 1910 and on Nov 8, 1910 Louis was discharged to his Aunt. Louis continued getting into trouble, this time at the age of 11, he shot off a gun, with blanks in it, into the air in New Orleans. The police took him back to the Colored Waifs Home where the new warden, Captain Joseph Jones and assistant, band director, Peter Davis had him join their new band. This time Louis learned to play the cornet in the band. He learned to read notes on the musical score, how to concentrate, focus, be disciplined, and work with others in the band. After 18 months, a year and a half, Louis was released, no longer a youth in crisis. He started playing jobs on the cornet they loaned him at the Colored Waifs Home. Louie Armstrong credited learning to play the cornet in the band with Peter Davis and Captain Jones as the turning point in his life. Katy Wright’s article “Big Noise Orchestras” of Scotland has for six years worked with underprivileged children, ages 6-13. 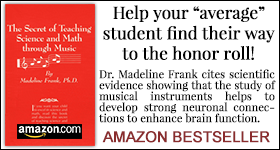 Researchers have noted the “exceptional achievement” in these children’s academic work. What are the three ways your child can toot their own horn just like Louis Armstrong? 1) By learning to play that horn or other instrument, your child will learn to read the notes on a musical score, improving their reading skills. 2) Your child will learn to concentrate, focus, and organize their minds, to be disciplined, and to work with others in a band or orchestra. 3) They will also learn the importance of cleaning and taking care of their instrument which will give them self -esteem and self worth. What are the 3 things you will have to get used to when your child studies a musical instrument? 1) The first sounds coming out of your child’s instrument are not going to sound pretty. So keep an open mind. On a side note, as a child of 8, practicing my violin for the first time, my Momma had to close the door of my room when I was practicing and invested in a mute for my violin so the sound would not carry out of the room. A few years later, when I had improved and began winning prizes and scholarships, she opened the door. 2) Your child will learn to take care of their musical instrument and will begin to clean their messy rooms as well. 3) Your child will begin to get better grades in school. 1) This summer find out what programs your library has for your child. Share with your child the joys of reading in your home every evening. Read to them and ask them to read to you. 3) Ask your child to help you cook dinner for the family by having them help you with a recipe. They will be reading and assisting in measuring out ingredients, which will help them in both math and science. 4) The local science and history museums offer classes for children. Find one that will be most interesting to your child. 5) Have your child help you make up Flash Cards in bright colors and letters to learn multiplication tables and vocabulary words. Learn one new word a day! “’Dancing For Joy’ In Middletown To Fight Parkinson’s Symptoms” (May 31, 2015) from the Hartford Courant. “Verdi, Beethoven and Puccini Could Help Beat Heart Disease” (June 9, 2015) by Laura Donnelly, Health Editor for The Telegraph. 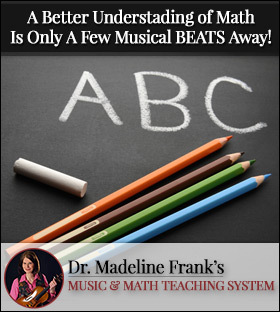 “Musical Notes On Math” by Dr. Madeline Frank teaches your child fractions and decimals, the fun way, through the rhythm of music, Winner of the Parent To Parent Adding Wisdom Award is now available in book form, newly updated as an e-book on Kindle, Nook, or iBook. 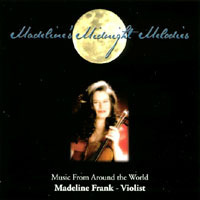 Dr. Madeline Frank’s book “Leadership on a Shoestring Budget” is now available through amazon.com. Click on the following Amazon.com link to order your copy of “Leadership On A Shoestring Budget” is available as an e-book on Kindle or in book form. "...I love your site and "One Minute" educational info as well as your interviews and musical ability." - Barbara S.